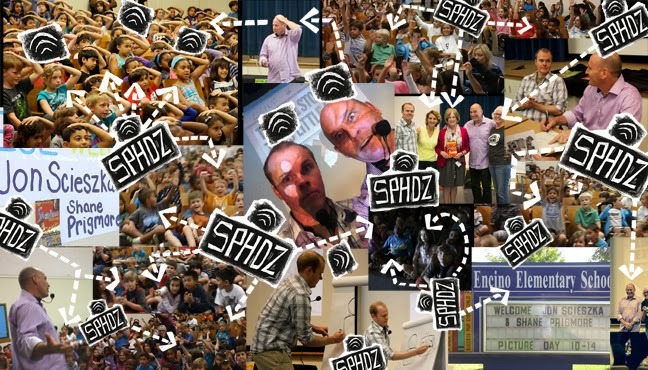 I've been very, very busy lately, but here is a quick post with just a few images of Jon Scieszka and myself from the SPHDZ book tour in Los Angeles last month (see previous post for more). It was awesome. Thanks to all the kids, families, and friends for making it so fun.